Still you did not How to link Aadhaar card to LPG gas. It’s too late. 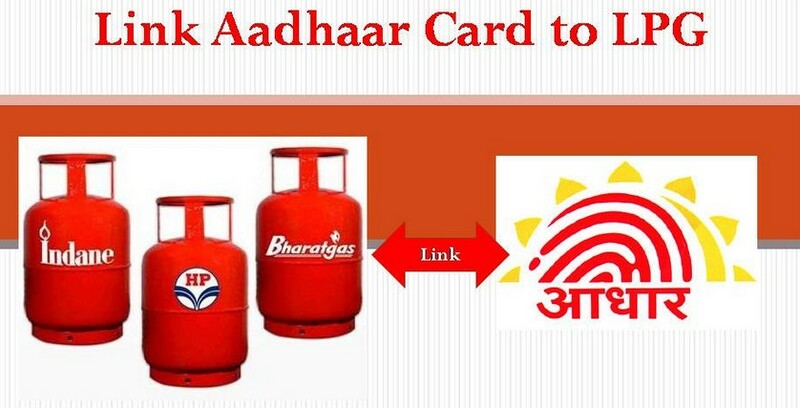 That’s why today here I will share with how to link Aadhaar card to LPG gas online. Do not be tension it’s a very simple and easy process. Just it will take two minutes. You do not need to go any LPG gas company because it is an online process. You can apply anywhere but should know about your LPG gas details then you can apply. There are so many advantages you may get by linking aadhar card to LPG gas. If you did not know how to apply just follow step by step here. Because I am giving full information about how to link Aadhaar card to LPG gas subsidy step by step guide. If you have already linked Aadhar card to Gas connection , then you must seee how to check aadhar card link with Gas status. Basically this process was introduced by government for some reasons. There are so many benefits you can get by linking aadhaar card to LPG gas. This process is more secure because everyone has unique Aadhar number. Here I will try to explain how to link aadhar card to LPG gas online mode. Just take a look here. If you want to link your aadhaar card to LPG gas online then just simple open the official Aadhar seeding Page. When you open this webpage you need to click on start button. After onward you may get online application form for link aadhar card to LPG gas Online. There are three steps include this whole process. As you can see the above image you need select your present state address and after that select the district address. you should fill all information according to your aadhar card details otherwise it will show error on this process. In this step you need to choose benefit type as ” LPG” Then select the Scheme name according to your LPG connection. If you are using Bharat gas then select the BOPL for Bharat Gas Aadhar link. If you are using Indane oil then select the IOCL for Indane gas aadhar link. If you are using HP gas then select the HPCL for hp gas aadhar link. After that you need to mention your Distributor name and type your consumer number. if in case you do not have any idea about your consumer number just once check your gas book. you may get to know full details of your consumer number. In this Step you need to fulfill all your details like email id, mobile no, Aadhaar no. one time password (OTP) will be sent to your email id and mobile number as mentioned you. just enter the OTP and click on the submit button. That’s it you have linked your Aadhar card to LPG gas. You can also Link Addhar to Gas Connection By SMS , for Aadhar Gas linkage By SMS. Send this SMS to : 51969 for more details click here. Now you may get idea of how to link Aadhar card to LPG gas online for subsidiary.. It’s a very simple process. Do not enter the incorrect details because it may show error on while processing. Just be careful little bit while doing this process. i hope you may successfully linked Aadhar to LPG Gas connection.